Co-directors Nick McAnulty and Brian Allan Stewart unleash this new horror Capture Kill Release (2016) via Midnight Releasing this upcoming March 7, 2017, on Digital HD. 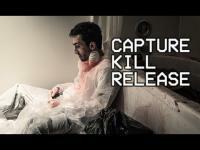 Jennifer Fraser, Jon Gates, and Farhang Ghajar star in Capture Kill Release. 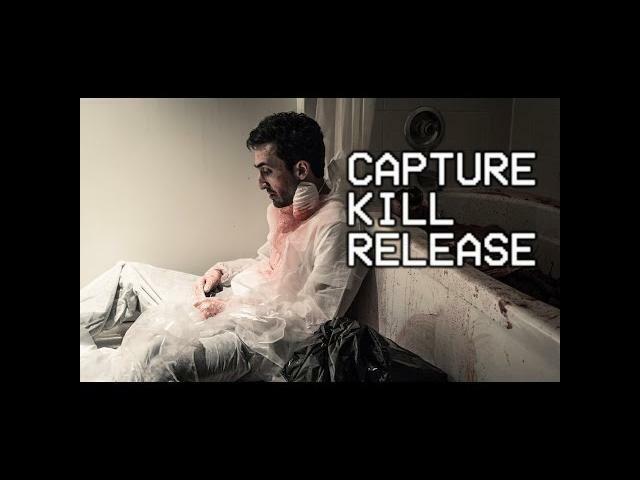 Press Release: Los Angeles, CA - Midnight Releasing has announced the March 7th Digital HD and MOD premiere of Capture Kill Release. Co-directors Nick McAnulty and Brian Allan Stewart deliver a romantic bloodbath that blends the true horrors of the Barbie and Ken Killers with the tropes of found footage, to stomach-curling effect. Capture Kill Release will be available to rent or own beginning March 7th on iTunes, Amazon Instant, Google Play, Vudu, XBox, FlixFling and more. Capture Kill Release has been a hit with critics and audiences since the world premiere at the Sunscreen Film Festival. The film has screened at genre fests around the world, sending chills through crowds at Shriekfest, Splat!, the Bram Stoker International Film Festival, HorrorQuest, Blood in the Snow, Fright Night Film Fest and many others over the past year. Leading lady Jennifer Fraser makes her debut in Capture Kill Release as the unhinged wife with awards for Best Newcomer (Blood in the Snow) and Best Actress (Louisville Fright Night, HorrorQuest). HorrorMovies.ca hailed the film, singling out her performance as "utterly compelling" and "pretty much the female Patrick Bateman". Co-directors McAnulty and Stewart took two awards (Shriekfest, HorrorQuest) and two nominations (British Horror Film Festival, Torremolinos) for Best Feature Film, with a Best Actor win for Farhang Ghajar as the devoted yet reluctant husband (HorrorQuest) and Jon Gates (Louisville Fright Night) for his turn as an acquaintance who gets too close to the lovebirds for his own good. A young married couple documents their descent down the rabbit hole as they seek to fulfill one of their darkest desires: kill a stranger and film it for posterity. Strain and second thoughts pull at their devotion to each other as they carefully plot out a heinous crime for the sake of curiosity. While they may have carefully thought out every small step and detail of getting away with murder, nothing can prepare them with the guilt and the weight of moving on in the aftermath. Shot in a documentary style from the perspective of the couple"s camera, the film follows unflinching as they document their moral decay for the sake of "art". The MOD physical release of Capture Kill Release will be available exclusively from Amazon.com.